The 2019 27th Annual Auction Has Concluded! For auction results, please click the catalogue below and scroll to the last page. To Download the auction catalogue, right click and download. The Archie Taylor Scholarship is open to YN members of OHNS. More information can be found in the blue area on the Club Info page. The Del Romines Summer Seminar Scholarship is open to members of OHNS. Check the blue area on the Club Info page for more information. The OHNS Needs Your Help! The OHNS is looking for your donations! 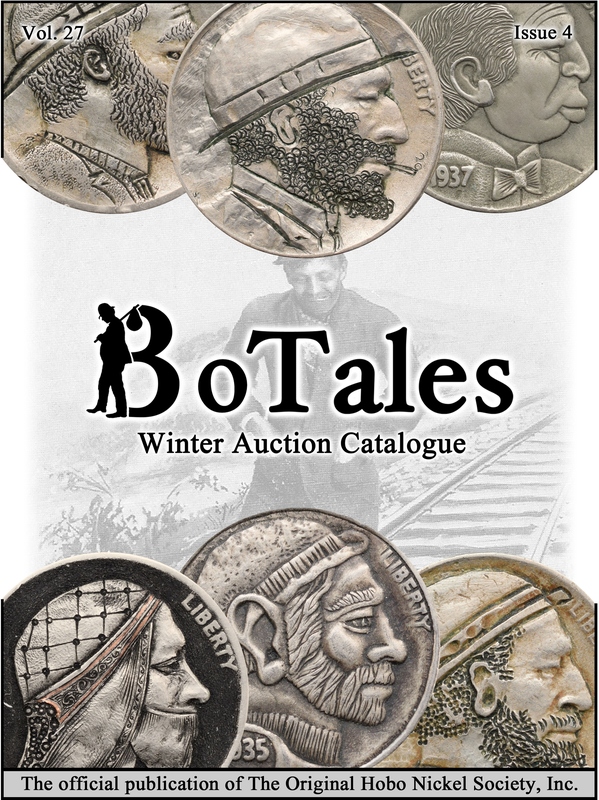 Your donation goes towards printing BoTales in color, booth expenses, scholarships, and carver honorariums. Thank you for your continued support! Not every donation has to be monetary! The OHNS welcomes original and modern carved coin donations, as well as volunteers to work our the various OHNS Booths at the F.U.N. show, as well as others! Contact the webmaster to find out how you can help the OHNS! 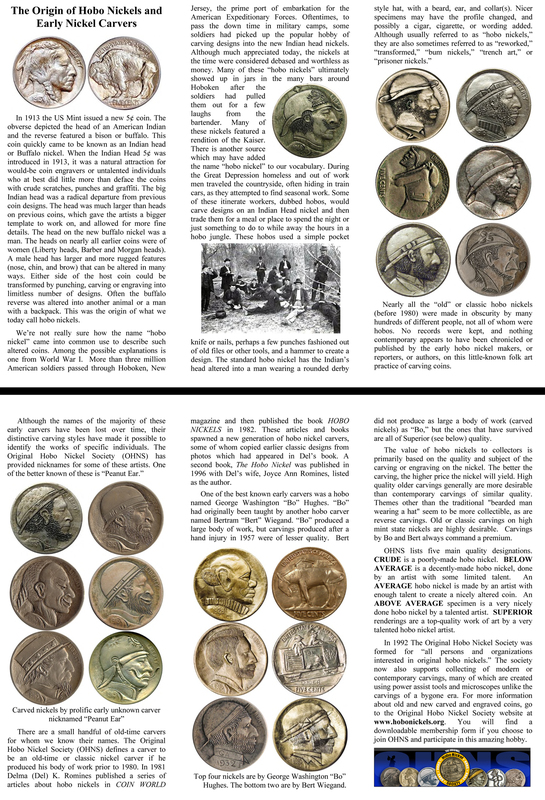 Check out the new OHNS pamphlet on the Origins of Hobo Nickels!! Click the photo below or right quick and save the photo below to download it! To view the old site, click here.